Lavinia Biagiotti Cigna, has been unanimously elected by the Board as the President and CEO of Biagiotti Group Spa, which recognized the innovative approach given to the development of the brand. Dr. Michele Norsa, top manager with long experience in the luxury industry, enters the board with the position of Vice-President; Dr. Fabio Virgilii was confirmed as senior Vice President and Dr. Demetrio Minuto as council member. “With extreme sense of pride and corporate and familiar continuity I undertake the double position of President and CEO of Biagiotti Group, positions held through the 52 years of our history by my grandmother Delia, by my mother Laura and by my father Gianni. Our history intertwines with the beginning of the Made in Italy, where my mother has given a determinant impulse. Our story is made of foresighted and pioneering visions which have brought us to be the first ones to present a collection in China in 1988, bringing the Italian Fashion in the Celestial Empire and in Russia in 1995. Our story is made of art and patronage and by important restorations to support and preserve the Italian cultural heritage. Our story is made of values witnessed by the strong connection between fashion and sports. Our story is made of innovation willing to share, through dresses, perfumes, accessories and more, the essence of quality, research and experimentation. As my mother, I conserve a joyful, rigorous and coherent approach in designing the future”, declares Lavinia Biagiotti Cigna. Lavinia Biagiotti Cigna was born in Rome on October 12th 1978. She is the third generation of the family company founded in 1965 by Delia Biagiotti. 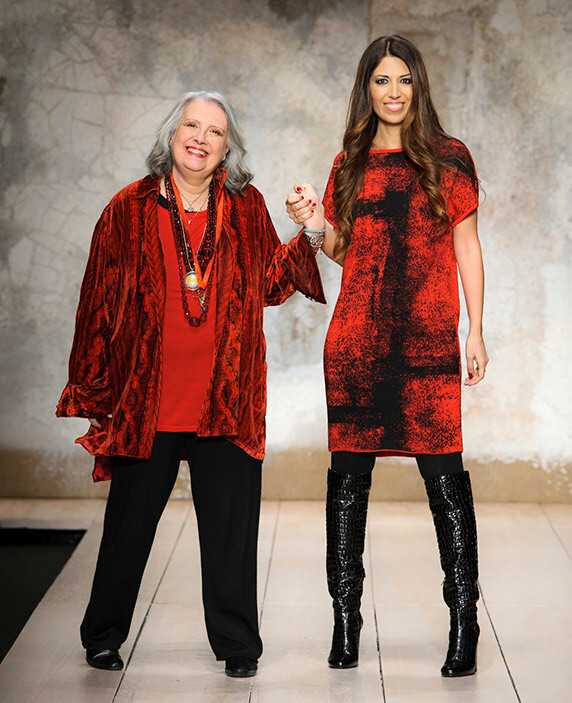 She has always shared with her mother Laura the passion for fashion and for the Made in Italy. She has always been next to her mother which led the company for twenty years. She promoted the restoration, with Laura Biagiotti Parfams, of the Stairs of the Campidoglio, the fountains in Piazza Farnese in Rome and also sponsored the renewal of the grandiose stage Cutains of the Teatre “La Fenice of Venezia.” She is a council member of the Biagiotti Cigna Foundation, which owns a collection of more than 200 futuristic operas by Giacomo Balla. She is one of the first supporting the synergy between the Made in Italy, fashion and sport. She is a council member of the national Chamber of Italian Fashion. She is also member of the Italian Unicredit Advisory Board. She is Vice President of the Foundation Music for Rome – Auditorium Parco della Musica. Lavinia is a member of the Permanent Women’s Consultation Group of the Pontifical Council For Culture.